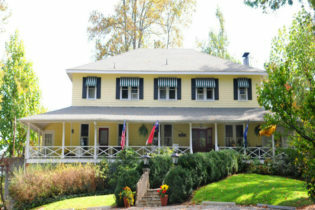 We are a AAA 4-Diamond Inn and named one of the Top Ten Bed & Breakfasts in the US by BedandBreakfast.com. Luxury and close to home and located in the Montford Historic District. Our home features award winning gardens. Each morning a gourmet organic breakfast. WiFi is available all throughout the inn for guests to connect with friends and loved ones. 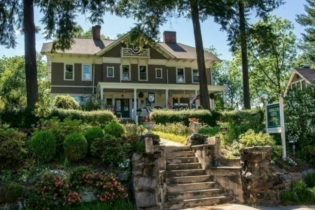 Rated Four Diamonds by AAA, Abbington Green Bed and Breakfast Inn is in the Montford Historic District, just north of Downtown Asheville, NC. Designed in 1908 by Biltmore Estate’s on-site architect, the Inn is a calm haven with style, tranquility, luxury and ease. With prize-winning English style gardens and an special award for excellence in historic preservation, you are surrounded by classic luxury. Relax on one of our furnished porches overlooking gardens or privately in your whirlpool. Each morning find yourself rested and enjoying breakfast in the Dining Room that emphasizes local and organic ingredients. Our gardens have been influenced by art and decorative styles that are English and Oriental. Hundreds of English boxwoods are side-by-side with roses, perennials and annuals for constant color from spring to fall. Each of the 5 rooms and 3 suites has king bed, whirlpool, working fireplace, HDTV with movie/music channels and Blu-ray video player. We offer free WiFi as well as pet friendly suites filled with history, style, romance. Gift certificates available. Welcome to the beauty of the Smoky Mountains, the quaint town of Waynesville, and the comfort and relaxation of the romantic Andon-Reid Inn Bed and Breakfast. Unwind and relax - let us take care of everything. Luxurious guestrooms, delicious breakfasts, and tons of attractions, including Great Smoky Mountains National Park, the Blue Ridge Parkway, the Biltmore Estate, and so much more. 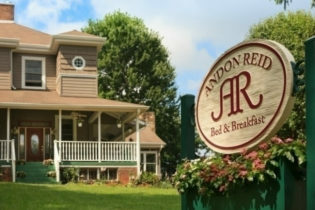 Welcome to the Andon-Reid Inn, a Waynesville, North Carolina Bed and Breakfast. 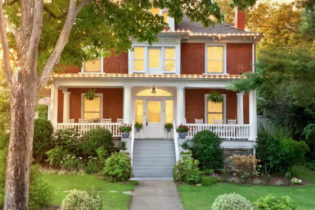 Originally constructed in 1902 and now designated as one of Waynesville’s historic properties, this turn-of-the-century home has beauty and charm. Large windows, high ceilings, extensive hardwood floors, and verandas are but a few of the original attributes of this beautiful old home. Each of its seven guestrooms and suites is large, comfortable, and tastefully decorated with traditional furnishings and a few antiques. Every room offers a private bath, a fireplace, and unique features that will contribute to your comfort and relaxation. 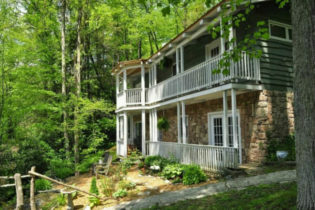 The Andon-Reid Inn Bed & Breakfast offers lodging less than three quarters of a mile from the downtown center of Waynesville, NC, and minutes from Maggie Valley and Asheville. Wonderful shopping and dining opportunities surround the Inn. The convenience of paved streets and local highways ensure easy access to visit the Great Smoky Mountains National Park, Blue Ridge Parkway, the Biltmore Estate, Chimney Rock Park, Cherokee, and other local attractions. The Andon-Reid Inn has been recognized by Tripadvisor as one of the top 25 B&B’s in the USA as well as being inducted into the Tripadvisor “Hall of Fame” for consistent excellence. We are a Select Registry property. Built in 1894, the Beaufort House Inn is a meticulously restored bed & breakfast situated on 1.5 tranquil acres in the Chestnut Hill Historic District of vibrant Asheville, North Carolina. The home is listed on the National Register of Historic Places, and features yesterday's charm alongside today's luxury. We offer 8 romantic rooms with private baths and Jacuzzis, (2 also have private entrances), as well as 3 lovely guest cottages with private entrances and private decks. The Beaufort House Inn is situated back from the road in the Chestnut Hill Historic District and minutes from downtown Asheville on 1.5 acres of lush, landscaped grounds and gardens. Beaufort House combines the personalized service and comfortable atmosphere of a bed & breakfast with the amenities you would expect at a luxury hotel. The spacious rooms feature two-person Jacuzzis, private baths, and fireplaces – the perfect place to spend a romantic honeymoon, anniversary, or special getaway weekend. Bent Creek Lodge Bed & Breakfast is an elegantly rustic mountain retreat in Asheville, NC in a forested triangle between the Blue Ridge Parkway & the French Broad River, yet close to everything you want to see and do. 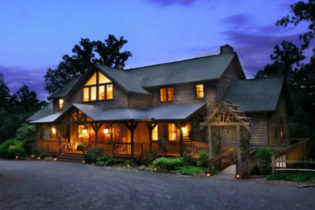 Stay at the Bent Creek Lodge Bed & Breakfast in Asheville, North Carolina. 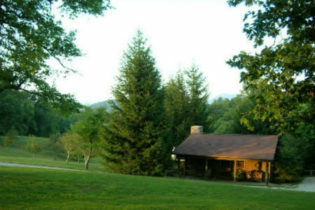 Tucked away in the heart of the mountains the lodge is only yards from the Blue Ridge Parkway and 10 miles from the center of Asheville. You’ll enjoy mountain views, the crackling fireplace, the scrumptious breakfast, hiking trails graced with waterfalls and rhododendron tunnels and most of all the gracious hospitality of host Doug & Jodee Sellers. Massage therapist Jennifer Lynn, can stop by the lodge, and just let us know in advance for better availability and we can schedule an appointment for you. The lodge was built in 1999 using the white pines and red oaks that grew on the property. The guiding principle in all the design and decor was to have a casual atmosphere to make you, the guest, totally comfortable. The Lodge has 10 guest rooms on 3 different levels, each decorated uniquely in a different North Carolina theme. NEW… The Luhn House is available for vacation rental. This 3 bedroom home is located next door to the Lodge, perfect for a group. Our single-story, ranch-style Inn blends luxury and elegance with just a touch of rustic charm. Experience the majestic views of the Great Smoky Mountains right at your back door. 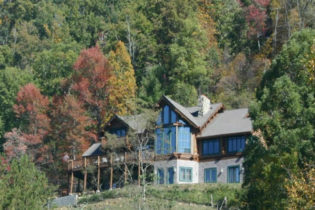 Let us be "Your Luxury Smoky Mountain Escape". What makes Brookside Mountain Mist Inn Bed & Breakfast in Waynesville, North Carolina so special? 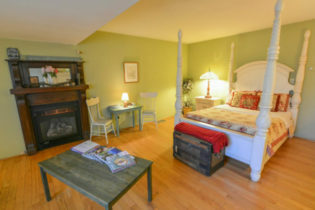 We’re not your typical old, Victorian-style Bed and Breakfast. Built in the 1950’s, this ranch-style bed and breakfast offers oversized rooms, some of them over 350 square feet! All of them feature fireplaces, private baths and sitting areas. The wormy chestnut paneling in the enormous living room provides a warm and rustic feel to this elegant, luxury inn. All of our rooms, including the living room, dining room, front and back porches are located on the same level. C.W. 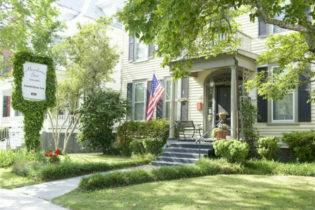 Worth House Bed and Breakfast is situated in the heart of the Historic District in Wilmington, North Carolina. The inn is just a short walk to the Cape Fear riverfront where visitors can enjoy fine dining, antique shops, and charming boutiques. We have four rooms and three suites for guests to choose from, and a hearty full breakfast each morning is included. Welcome to the C.W. 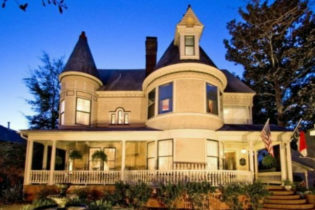 Worth House Bed and Breakfast, a historic Queen Anne home offering seven guestrooms & suites. As you step through the gate, the spacious southern porch invites you to slow down, relax, and enjoy. We are located near many of Wilmington’s fascinating buildings and historic sites. Browse the antique shops and boutiques in the Historic District, or just take a “southern style stroll” down streets rich in architecture. A popular activity in the evening is relaxing in Riverfront Park and enjoying the sunset over the Battleship USS North Carolina. Walk to downtown Asheville's finest restaurants and shops. 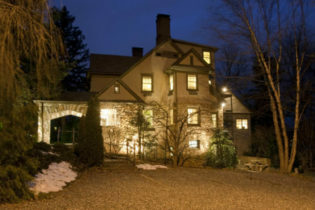 Chestnut Street Inn is a beautiful yet relaxed atmosphere historic home that caters to those looking for an experience. Fire Mountain Inn bed & breakfast is one of the most unique and spectacular mountaintop hideaways in Highlands, North Carolina. It was created for guests to relax, rejuvenate, and nurture relationships in a spectacular and beautiful setting that provides solace from the rigors and stress of the outside world. 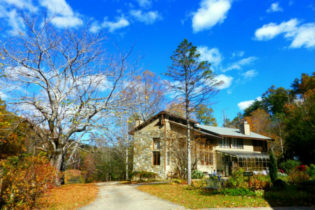 Located a few miles outside of Highlands, NC, on hundreds of acres on Fire Mountain, sits a modern, secluded, mountaintop hideaway, Fire Mountain Inn bed & breakfast. At the highest point on Fire Mountain, you’ll find a retreat composed of a sophisticated contemporary inn, our private and intimate tree houses, and real luxury cabins, all of which have long range mountain views. Guestrooms in the inns, cabins, and tree houses are all beautifully decorated and have top-of-the-line amenities that give each room its own distinct style. We hope you’ll visit and enjoy the cool, clean mountain air at one of the most unique and spectacular mountaintop hideaways. Natural beauty abounds on hundreds of acres…just a few miles outside the village of Highlands, NC. Nestled in the seclusion of stately water oaks and tall pines on the historic Currituck Sound in Corolla on the upper end of North Carolina’s Outer Banks, the Inn offers guests comfortable accommodations and a variety of activities. Located in the ocean-to-sound nationally acclaimed Corolla Light Resort Village, the Inn is the ideal setting for a romantic getaway or your Outer Banks adventure. To help you explore this breathtaking area our guests enjoy full use of the amenities of Corolla Light Resort and the best of the Outer Banks. Unlike the often cramped inns of yesteryear, you’ll find 43 new and individualized rooms and suites much to your liking, many with gas fireplaces, separate sitting and entertainment areas offering spectacular views of the Currituck Sound. All rooms have refrigerator, coffee maker, TV, VCR and radio. Many have kitchenettes with full cooking capabilities for private, in-room dining. You’ll find most rooms available with king size beds and large bath facilities, many with luxurious whirlpools. Stroll or bike the paths of the historic lighthouse (our guests enjoy exploring on complimentary bicycles); play tennis, golf, fish, hunt, hike, visit the sports center, and swim in the competition-size pool, relax in the hot tub, play racket ball, workout in the exercise room or shop, but most importantly plan to come and relax. This 1913 Country Manor turned Bed & Breakfast offers four luxurious guest rooms including two suites, spacious and elegant common rooms, a 'green' environment, the best porch in Burke County and unbeatable outdoor event space. This 1913 Country Manor turned Bed & Breakfast offers four luxurious guest rooms including two suites, spacious and elegant common rooms, a ‘green’ environment, the best porch in Burke County and unbeatable outdoor event space. In November 2014 your new hosts, Teresa and Craig Sellman, purchased the Inn. After 5 months of renovation (which we like to call ‘putting red lipstick on the pretty lady’, as the Inn was already so beautiful), the Inn At Glen Alpine has opened its doors once again. Conveniently located 3 miles off Interstate 40, the Inn At Glen Alpine is only 50 miles east of Asheville, 25 miles west of Hickory and 30 minutes to the entrance of the famous Blue Ridge Parkway. A short 6 miles to the east finds you in the historic town of Morganton, the Burke County seat. Surrounded by the natural beauty of the Appalachian foothills, South Mountain, Grandfather Mountain and adjacent to the southeast corner of Pisgah National Forest, you will experience all the best there is to offer from outdoor activity to nearby historic towns in the heart of Western North Carolina. A short drive brings you to many amazing local wineries and breweries (Lake James Winery is within walking distance! ), and just 10 minutes from the Inn you will find Lake James State Park which was voted the best state park in North Carolina in 2014. Breakfast at the Inn is a feast not soon to be forgotten! We specialize in locally sourced ingredients and allergy friendly alternatives to all your breakfast favorites, especially gluten free. With the new addition of a commercial kitchen, we proudly offer a la carte meals that can be served in your room, in the beautiful dining room, on the porch or taken to go as you embark on your outdoor adventures. The Inn At Glen Alpine is also a Premier Event Site in Burke County with an outdoor pavilion available for all your celebration needs. With a 200+ space parking field, events of all types can be held from weddings and reunions to festivals and corporate events. Enjoy the natural beauty of western North Carolina at our Bed & Breakfast and North Carolina Birding Trail site, two miles inside Pisgah National Forest near Black Mountain and Asheville. Situated on seven private wooded acres close to hiking/biking trails and the Blue Ridge Parkway, at the Inn on Mill Creek you are encouraged to take vacation at your own pace. Area attractions include the Biltmore Estate, Mount Mitchell, Chimney Rock, and Lake Lure. We are surrounded by the calming scenery of the Pisgah National Forest, a 170-tree fruit orchard, private lake, and our very own dam with gentle waterfalls cascading down its face. We strive for a relaxed, casual atmosphere on seven wooded acres of serenity. Great dining, shopping, golf courses, art galleries, and sight-seeing is all within a 10 minute drive from the inn. Adjacent to the grounds you’ll find two forest access trails, perfect for hiking and mountain biking up to Point Lookout, Jarrett’s Tunnel, and Kitsuma for the serious mountain-biker. On our grounds, guests have plenty of room to take a leisurely stroll among fruit orchards, cherry trees, blueberry bushes, and grape vines. 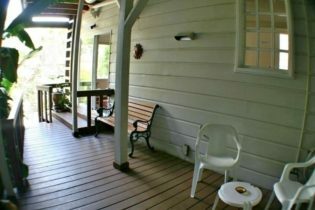 Lounge on one of three decks and soak up the forest, or relax by our private, trout-stocked lake. Welcome to the Lovill House Inn Bed and Breakfast, a AAA Four Diamond Award-Winning inn where comfort, luxury, and convenience come together in a historic setting. 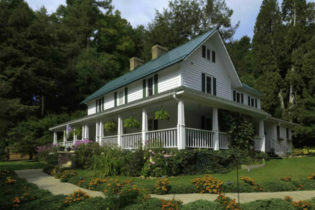 The Lovill House Inn Bed & Breakfast, located in Boone, North Carolina, is the ultimate in comfort and Southern hospitality. The inn is uniquely located on 11 secluded woodland acres and sits in the heart of the High Country mountains; it is also rich in family and community history. Lovill House offers a peaceful atmosphere that includes a wraparound porch, a hammock under the trees, and a gazebo by the stream – all of which are great places to relax and unwind. 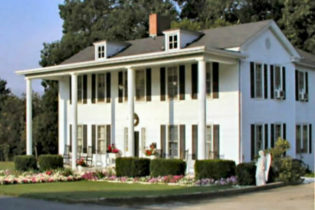 The Lovill House Inn Bed & Breakfast was built in 1875, and its convenient location allows for a truly romantic setting. The Inn is just a short drive to Grandfather Mountain and the ski resorts of Beech Mountain, Sugar Mountain, Hawksnest, and Appalachian Ski Mountain. The Lovill House is also a short distance from the village of Blowing Rock, Linville Falls and the Linville Caverns, and is just off the Blue Ridge Parkway. Come and enjoy Southern hospitality at its finest at this beautiful rural inn. 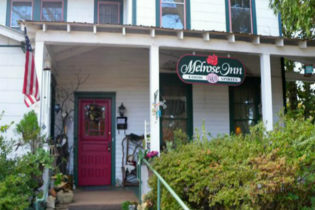 The Historic Melrose Inn is located in the beautiful foothills of the Smokey Mountains of North Carolina, Tryon and the surrounding areas offer many activities and sites to visit. Tryon is within an hour’s drive of Asheville, Charlotte and Greenville (SC). There is every possible activity within a few miles- amazing golf courses, several lakes for fishing, boating, water skiing, and canoeing. Throughout the year our area has hikes, wine tastings, heritage craft shows, floral garden tours, and equestrian activities. Tryon itself has many unique events-a weekend devoted to children, an outhouse race with an Easter Bonnet Contest, and the most amazing BBQ event-the Blue Ridge Barbecue Festival! You will experience real, melt in your mouth barbecue! Welcome to the Meadows Inn bed & breakfast, where memories blossom year-round. 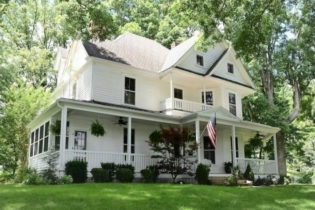 This elegant Antebellum home was built in 1847, and has been serving guests since 1980. We are conveniently located in the heart of New Bern, North Carolina, within walking distance of great shops, restaurants, historic sites, and live theater & music. 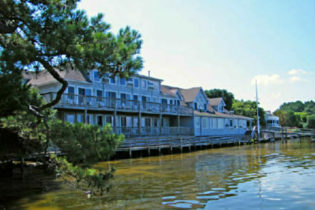 Boating, fishing, and golf is also nearby. We offer 8 beautiful guestrooms with private baths and in-room TV. Full breakfast each morning. 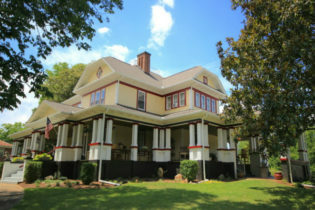 Morehead Manor Bed and Breakfast invites business and leisure travelers to enjoy their stay while in Durham, North Carolina. Offering exceptional hospitality in an intimate setting, we have spacious guest rooms with comfortable linens, wireless internet access, private baths, complimentary afternoon beverages, scrumptious homemade desserts, and full breakfasts. Come relax and rejuvenate at Morehead Manor Bed and Breakfast. Morehead Manor Bed and Breakfast is walking distance to the Durham Performing Arts Center, the American Tobacco Campus, Brightleaf Square and Duke University. 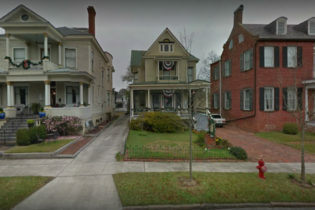 Morehead Manor Bed and Breakfast in Durham, North Carolina is nestled in the historic Morehead Hill neighborhood just moments away from downtown Durham. Our Inn offers the perfect respite for the business or leisure traveler. Centrally located, our guests can enjoy a short stroll to Duke University, dining at Brightleaf Square, a show at the Durham Performing Arts Center, or a Durham Bulls baseball game. The inn is just a short drive from North Carolina Central University, RTP, RDU International Airport, the Streets at Southpoint, and is easily accessible from both Interstates 40 and 85. Our rates include a full breakfast and scrumptious homemade desserts in the evening. We are happy to assist you with your sightseeing plans, spa services, shopping, and dinner reservations. This time together will enable us to help you fully discover – and take advantage of – what our beautiful city has to offer. Morehead Manor Bed and Breakfast is also available for special events, conferences, weddings, and private luncheons and dinners. Serving visitors from all over the world for over 22 years, we invite you to come, relax and be pampered by us at Morehead Manor Bed and Breakfast. 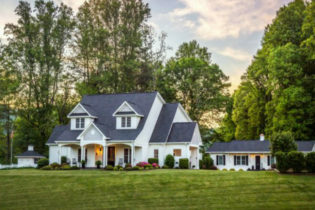 Weather you come for special occasions such as weddings, golf outings or family reunions, or simply for a romantic getaway, Oak Hill on Love Lane Bed & Breakfast in Waynesville, NC will cater to your every need. "The service and amenities of a fine hotel in the quiet comfort of a B&B"
Situated 3,600 feet above sea level in the Great Smoky Mountains, Oak Hill Bed & Breakfast invites you to experience the best of Western North Carolina. Oak Hill features a wrap-around veranda and gazebo providing excellent mountain views and refreshing breezes. With breathtaking views from every room, this beautiful historic home instantly welcomes you, and we look forward to offering you a comfortable elegant stay. At Oak Hill we are very sensitive to those with allergies. To that end, we feature Kathy Ireland latex mattresses by Therapedic. Latex, derived from the rubber tree, responds instantly to every contour of your body to provide exceptional support. They are also naturally anti-microbial, breathable and dust mite resistant. You will also enjoy soaps and lotions specially formulated for Oak Hill by Hazelwood Soap Company, a local boutique. All products are made with only the purest oils (avocado, almond, olive) and organic shea butter. We’re just minutes from Asheville, The Biltmore House, The Blue Ridge Parkway, white water rafting, or leisurely shopping in Waynesville’s quaint boutiques or anything in between. Our promise is to make every effort to accommodate your requests. It is our goal to ensure your comfort. 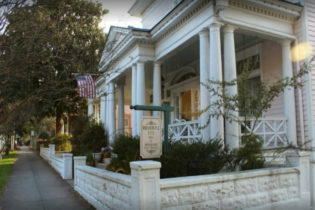 The Rosehill Inn Bed & Breakfast is an elegant 1848 home in the heart of the historic district in Wilmington, NC. Just 3 blocks from North Carolina's Cape Fear River and the city's finest dining, shopping, and entertainment. 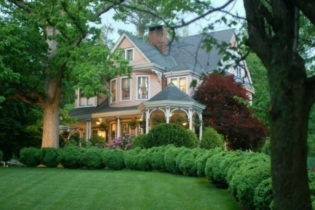 Welcome to Rosehill Inn Bed & Breakfast, an elegant 1848 home in the heart of the historic district in Wilmington, NC. Just three blocks from North Carolina’s Cape Fear River and the city’s finest dining, shopping, and entertainment. Each of the large, luxurious guest rooms has been individually designed and decorated. Each has a private bath, downy-soft comforter, large fluffy towels, and plush spa robes for your enjoyment. A generous and healthy breakfast of homemade delights, served in the Inn’s dining room, is included, along with early morning coffee service. Our corporate rates include business services such as fax, express checkout, and early breakfast! The Rosehill Inn is open year-round and is only a 20-minute drive from the crystal blue waters of the Atlantic Ocean and many area attractions. It is a wonderful place to relax and unwind. Rosehill Inn Bed & Breakfast offers travelers the warmth and security of returning home after a long day’s journey. Rosemary House Bed and Breakfast is located in historic Pittsboro, near Chapel Hill, North Carolina and convenient to Raleigh and Durham. The small town of Pittsboro is in the center of the heart of North Carolina, Chatham County, equidistant from the mountains and the beaches. It is centrally located with respect to Southern Pines, Seagrove, and Asheboro. Within an hour's drive there are sixty-six things to do! 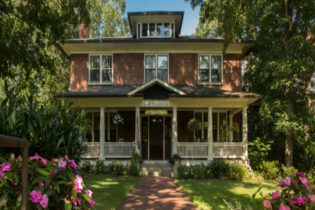 Welcome to Rosemary House Bed and Breakfast, our gracious 1912 Colonial Revival inn, is located in historic Pittsboro, North Carolina near Chapel Hill and convenient to Raleigh and Durham. The small town of Pittsboro is in the center of the heart of North Carolina, Chatham County, equidistant from the mountains and the beaches. 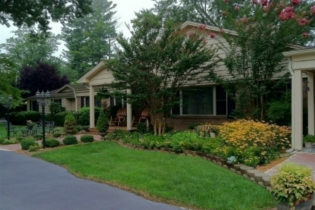 It is centrally located with respect to Southern Pines, Seagrove, and Asheboro. Rosemary House is named for the herb rosemary, traditionally held to be the herb of friendship and remembrance. Rosemary grows by the inn’s back door, and is used in cooking along with other fresh herbs. There are plenty of quiet private spaces inside and outside. Our big front porch is shaded in the summer by gigantic sugar maples. The back porch is perfect for watching the birds at the feeder. Just outside the back porch is an herb and perennial garden where we just planted over 150 daylilies from Oxford Gardens. The town of Pittsboro is small, historic and charming. You can fill an afternoon browsing its antique shops and S&T’s Soda Shoppe, a soda fountain that will take you back to the 40’s. There are lots of things to do around Pittsboro, and we look forward to your visit! Sourwood Inn is secluded, sophisticated and comfortable. Located in Asheville, NC the inn sits on one hundred acres of hilly terrain at an elevation of 3,200 feet. Each of Sourwood Inn's guest rooms has a private balcony overlooking the Reems Creek Valley, a wood-burning fireplace and a tub with a view. Sourwood Inn Bed & Breakfast is located Asheville, NC and sits on one hundred acres of hilly terrain at an elevation of 3,200 feet. Each of Sourwood Inn’s guest rooms has a private balcony overlooking the Reems Creek Valley, a wood-burning fireplace and a tub with a view. The Inn also has a cabin which is nestled in the woods 100 yards from the main inn. Complete with a screened-in porch, the cabin has two full baths, fully equipped kitchen, a living and dining area and a bedroom loft. A Jotul wood-burning stove keeps the cabin cozy in the winter. Whatever reason brings you to Sourwood Inn, we look forward to helping you relax. Welcome to the Sweet Biscuit Inn located in quiet wooded neighborhood of Kenilworth, in Asheville, North Carolina. Our magnificent 1915 Colonial Revival home offers 6 charming guestrooms as well as a two-room suite upstairs and a pet-friendly Carriage House. We serve a gourmet breakfast made from fresh ingredients each morning. Local activities include hiking trails, trolley tours, the Biltmore Estate, the Blue Ridge Parkway, and so much more. Located in Asheville, North Carolina’s peaceful Kenilworth neighborhood, the Sweet Biscuit Inn is a 1915 Colonial Revival home with 6 guestrooms, a two-room suite, and a private carriage house. We are less than two miles from Downtown Asheville, a thriving cultural center filled with shops, galleries, breweries, and restaurants. Conveniently located in Burnsville North Carolina, the B&B is just 45 minutes from Asheville, and just 20 minutes from the Blue Ridge Parkway. The inn is within walking distance to downtown Burnsville, Town Square, and Town Center. This North Carolina Bed and Breakfast has the perfect vacation location for visiting the Biltmore Estate, Boone, Mt. Mitchell, Blowing Rock or just enjoying a few days of golf. 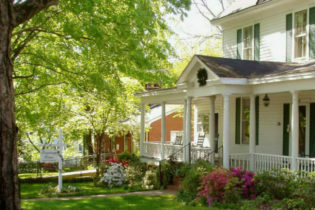 Welcome to the Terrell House Bed and Breakfast, located in Burnsville North Carolina, the B&B offers 6 beautifully appointed guest rooms and a hearty full breakfast served daily. The bed and breakfast is the perfect vacation location for visiting the Biltmore Estate, Asheville, Boone, Mount Mitchell, Grandfather Mountain, Linville Falls, Blowing Rock, and much more. Five of the rooms in the inn offer queen size beds; one has twin beds and all rooms have private baths and individual air conditioning units. The Terrell House Bed and Breakfast is just 45 minutes northeast of Asheville and 20 minutes from the Blue Ridge Parkway, this attractive North Carolina bed and breakfast is located on a quiet street with easy access to West Main Street and within walking distance (10 minutes) of historic downtown Burnsville, Town Square and the Town Center. The Duke Mansion is located in Charlotte, North Carolina. Our home is a completely renovated colonial revival mansion. We are in the perfect location for a getaway for two, a meeting or retreat, or even a business trip. No matter the reason for your stay, just one night at The Duke Mansion will linger until your next visit. Make your reservation today! Local attractions include dining, parks and plenty of shopping. 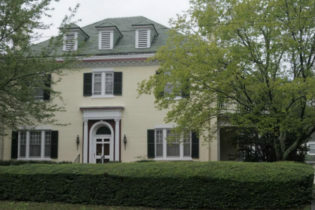 The Duke Mansion is located in Charlotte, North Carolina. We are in the midst of one of the city’s most prestigious neighborhoods. Our home is a completely renovated colonial revival mansion. From the moment you enter the Grand Hall, you will know that you have entered a special place. We are in the perfect location for a getaway for two, a meeting or retreat, or a unique and restful night on a business trip. Our attention to detail and personalized service will make you feel like the honored guest that you are. No matter the reason for your stay, just one night at The Duke Mansion will linger until your next visit. Make your reservation today! Why stay in the city when you can stay in the mountains! Wildberry Lodge, Where Yellowstone meets the Smokies. Welcome to the Wildberry Lodge Bed and Breakfast in Leicester, North Carolina a custom built “real” log home. 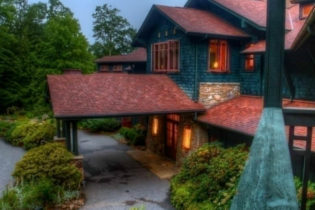 The lodge is nestled in the Blue Ridge Mountains just outside of Asheville, North Carolina. At Wildberry you’re close enough to be downtown in 20 minutes, far enough away to see the stars at night. Each guestroom has its own character from the log structure, to the rustic yet sophisticated decor, to the view outside your window or balcony. The great room fireplace (32 feet in height) made from local “Dogget Mountain” rock is spectacular. The decks are made for relaxing and taking in the view. Ken and Glenda designed and built the lodge with the assistance of Maple Island Log Homes and many wonderful subs. There are no bolts and screws – just fabulous craftsmanship. The inn also has some “characters” which add flavor to the property. Make sure to say hello to our 2 shaggy highland cattle – Callie and Laddie – our misc goats (they do the mowing on the hillside) and our assistant innkeeper, Ginny (our mixed breed lovable dog). Hope to see you soon!! !